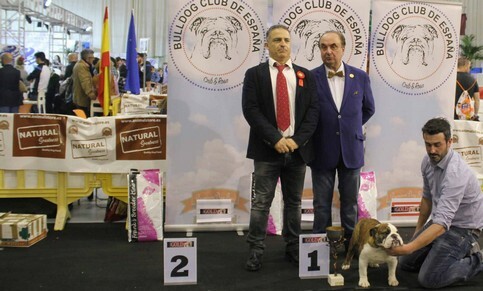 BIS, Club Winner Macho y MR, EBW 17 REMBOMBORY OREO. 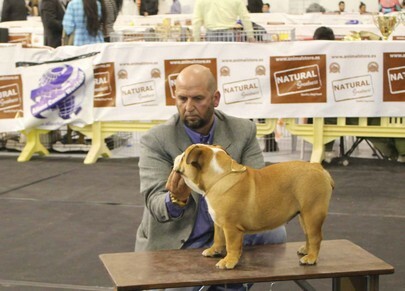 Mejor Muy Cachorro EBW 17 FAT PUPPYS ALL MINE. 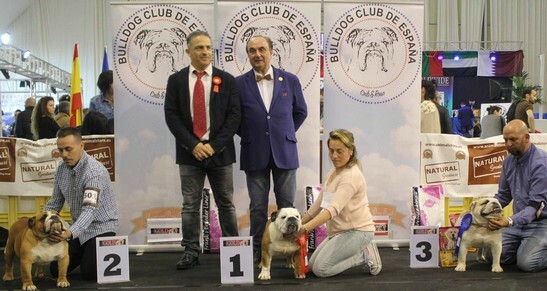 European Bulldog Winner 2017 Intermedia REMBOMBORY OREO. 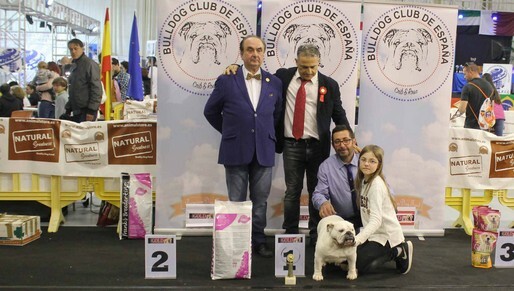 European Bulldog Winner 2017 Abierta REMBOMBORY FILOMENA. 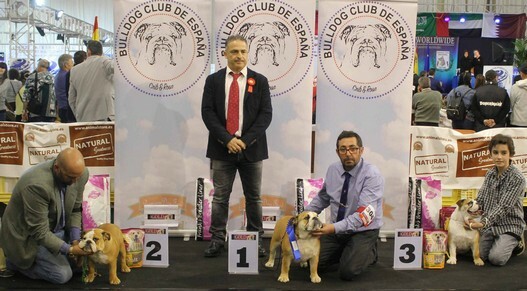 European Bulldog Winner 2017 Joven FAT PUPPYS SUSHI. 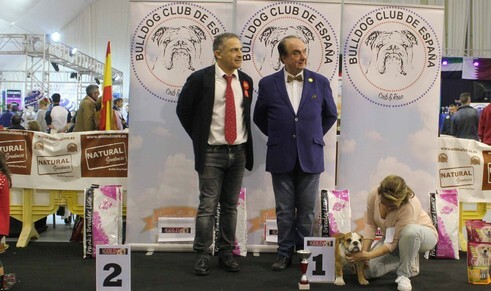 European Bulldog Winner 2017 Cachorro LAS PEDRIZAS BULL GARFIO. 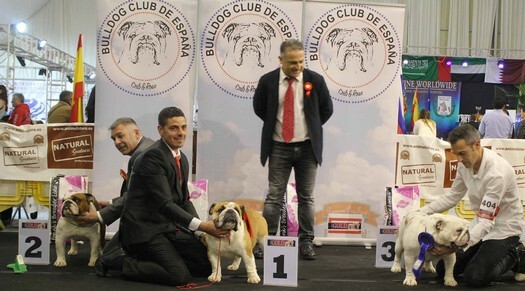 European Bulldog Winner 2017 Muy Cachorro FAT PUPPYS ALL MINE. 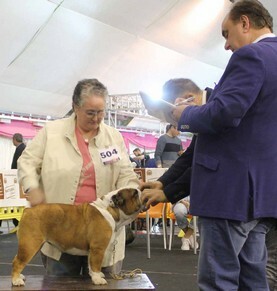 European Bulldog Winner 2017 Veterano CH FR INT BBG MAREMAGNUM. 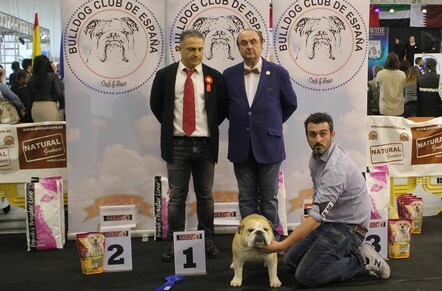 TOP BULLDOG WINNER 2017 REMBOMBORY OREO. 1º REMBOMBORY OSSO. MP 1º. 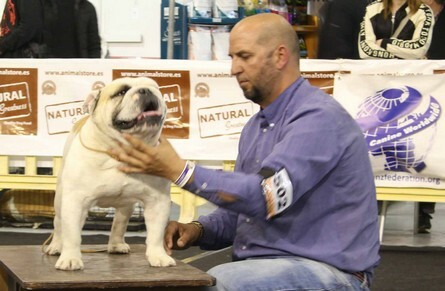 1ª FAT PUPPYS ALL MINE. MP 1ª. 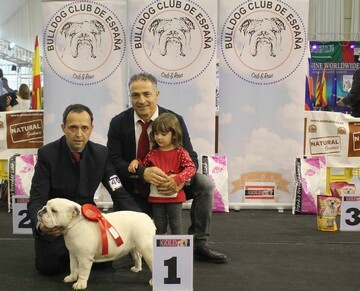 2ª LAS PEDRIZASBULL BELLA. MB 2ª. 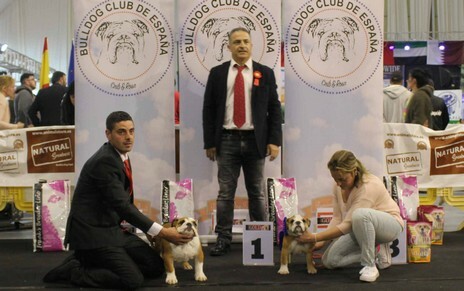 1º FAT PUPPYS ORO BIANCO EXC 1º CCEJ CCAJ. Mejor Joven Macho. 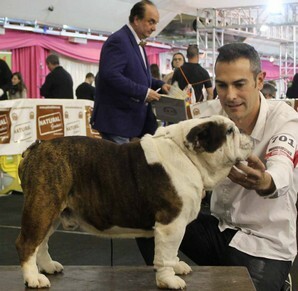 1ª FAT PUPPIES SUSHI. 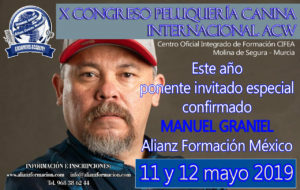 EXC 1ª. CCEJ, CCAJ. 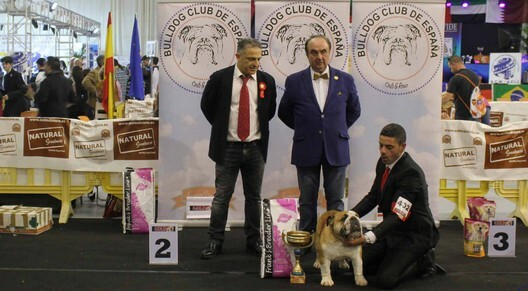 3ª REALSTUD MORGANA. EXC 3ª. 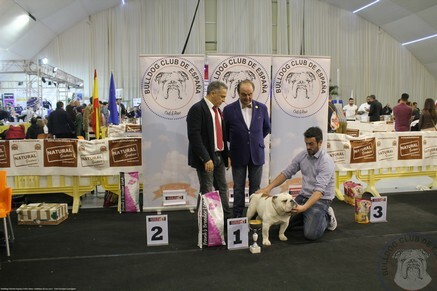 1ª REALSTUD MUJERONA: EXC 1ª CCE, CCI, CCA. 1º REMBOPMBORY OREO. EXC 1º CCE, CCI, CCA. 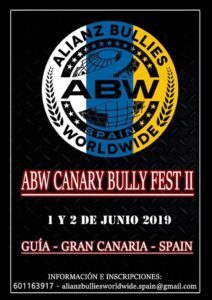 2º WW JCH CASANOVA DE OS TOLIÑOS DO FERROL. EXC 2º. 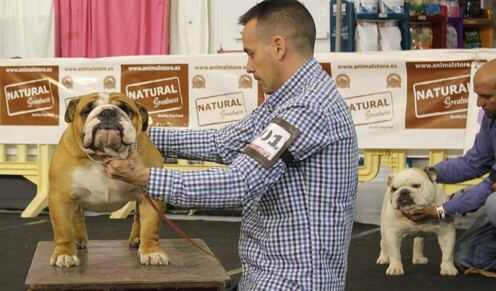 3º MAJOR BULLDOGS THE KING. EXC 3º. 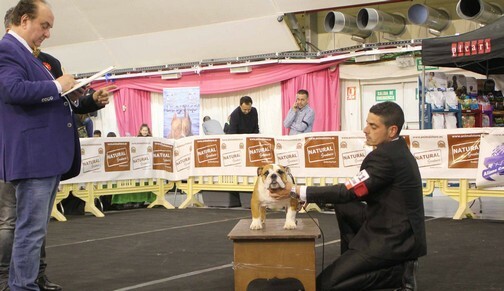 1º BRITISHPRIDE STAR TROOPER. 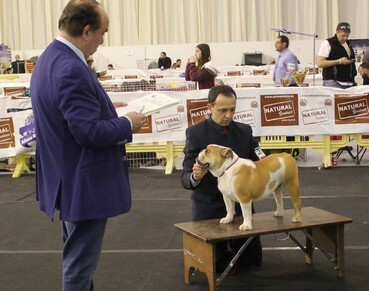 EXC 1º CCE CCI, CCA. 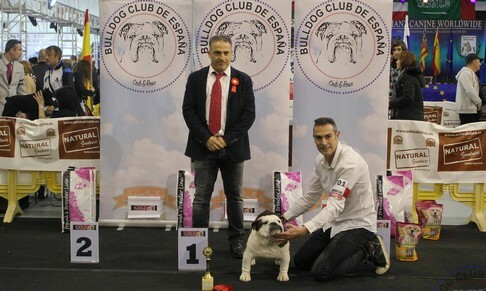 3º EXTURION BULL FRANK BRUNO. Exc 3º. 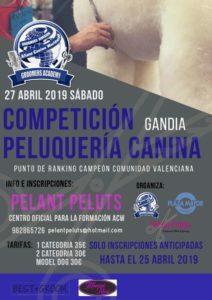 1ª REMBOMBORY FILOMENAS. 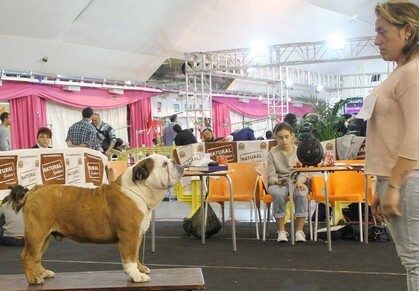 EXC 1ª, CCE, CCI, CCA. 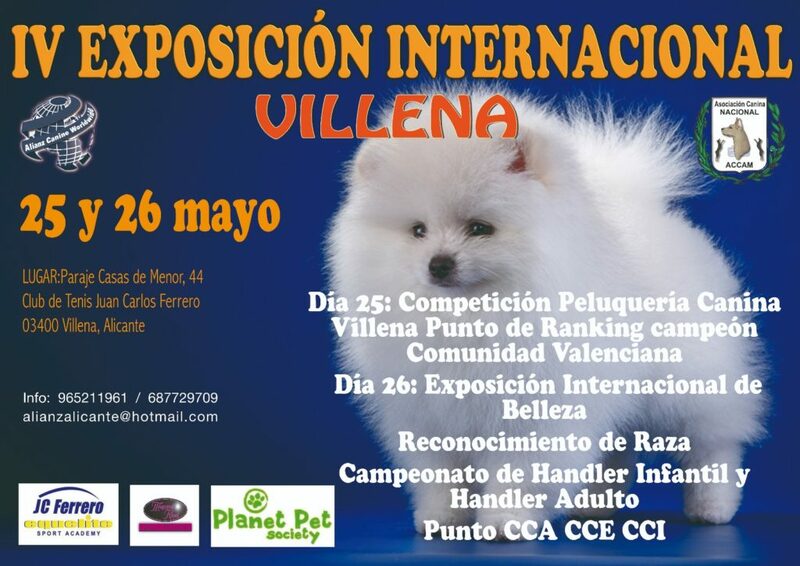 2ª CH J. 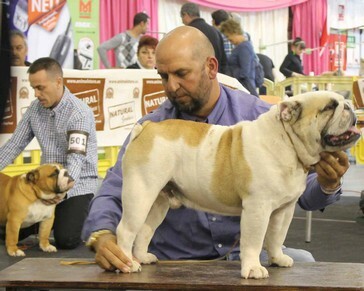 MAJOR BULLDOGS LOEWE. EXC 2º. 3º INA DE LA XIXA. EXC 3ª. 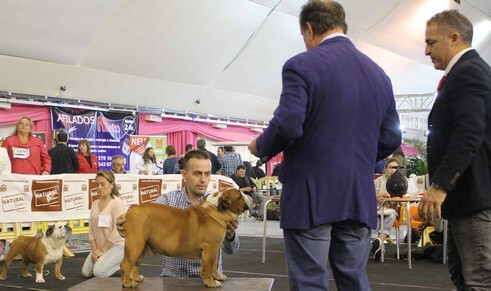 1º MUlti CH RESERVA DO REI THE DOT RACER. EXC 1º CCE, CCI, CCA. 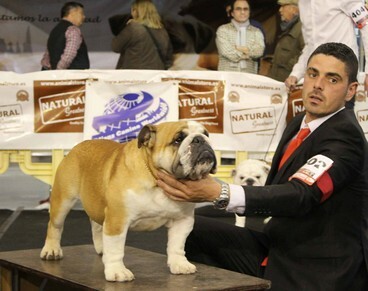 1º CH REALSTUD CHAMPAGNE. EXC 1ª CCE, CCI, CCA. 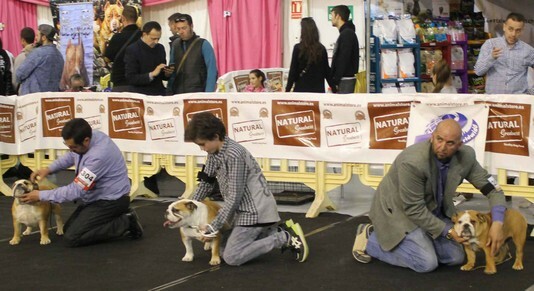 2ª CH REAL STUD LACOVIA, CCE, CCI, CCA. 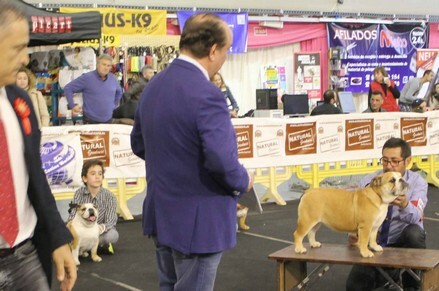 1º CH FR. 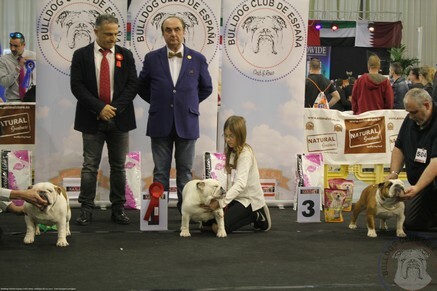 INT BEST BULLDOG GIRONA MAREMAGNUM. EXC 1º CCE, CCI, CCA.